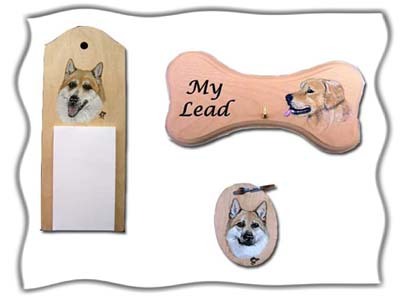 A selection of wooden gifts available, handpainted in enamel with your favourite breed of dog or own pet. Including keyrings, lead boards with hooks, fridge magnets and memo boards. If you would like more information or to place an order, please contact me.